Auditions for the Holyrood Amateur Theatrical Society production of ‘Under Milk Wood’, directed by Stephen Oswald will be held in the Scottish Parliament Building on Monday April 4TH and Wednesday April 6TH at 6.30 p.m. Please email info@hatsedinburgh.co.uk if you would like to audition stating which day you would like to attend. Rehearsals/workshops will be on Mondays, Wednesdays and Sundays beginning Monday 11th April. The run will be at St Bride’s, Orwell Terrace in the week beginning 18th July. If you are numerate, reliable and honest, please be our treasurer! We need someone to see us through the next show at least until the AGM in August or September. The job involves liaising with the cast and production team to keep track of membership funds and receipts for expenses incurred during the course of the show, updating financial records and managing the HATS bank account. Advice would be on hand if required, and a (small) cash reward could be negotiated for the right candidate. Please email info@hatsedinburgh.co.uk if you can help! Don’t miss the terror, the tragedy, the torment that is Dracula! 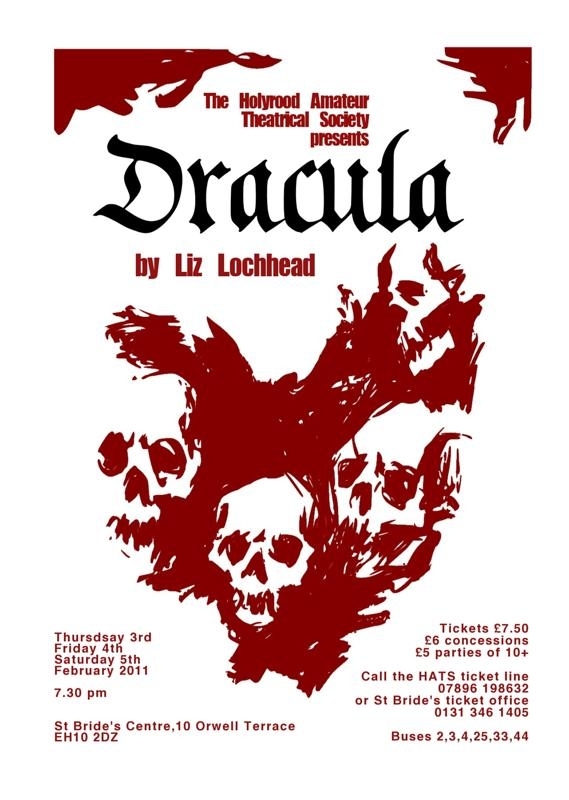 Please note that HATS’ next production, of Liz Lochead’s Dracula, is now due to be staged on 3rd, 4th and 5th February 2011 at the St Bride’s Centre on Orwell Terrace. We are very much looking forward to seeing you there for an evening of blood-curdling drama! Team Dracula’s Teabags were the ones to wear the prestigious and original HATS top hat, an honour accorded only to those of superior brain power! Many thanks to all who came and took part. Proceeds go towards the next two productions, which are sure to be fabulous. Please note audition dates for Lazybed, below. 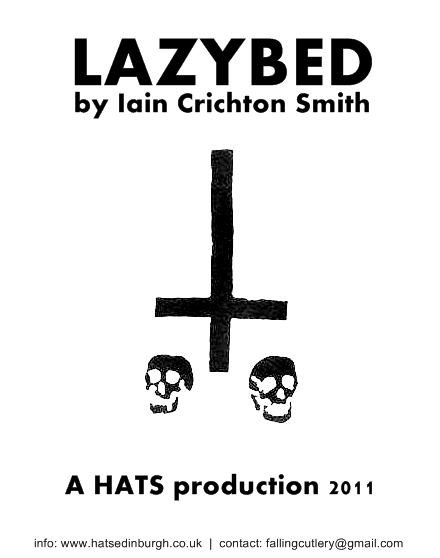 HATS announce a 2011 production of Iain Crichton Smith’s Lazybed. Lazybed is about a man who stays in bed and refuses to get up: a comic meditation on the vanity of work; mortality; the metaphysical and the real; love and marriage. We are delighted to be bringing Iain Crichton Smith’s best-loved character, the cantankerous and metaphysical Murdo, to the stage. Following the sad closure of the Roxy Art House, dates and venue are yet to be reconfirmed, but we’re working on a three night run at the end of March or beginning of April 2011 at a suitably exciting Edinburgh venue. 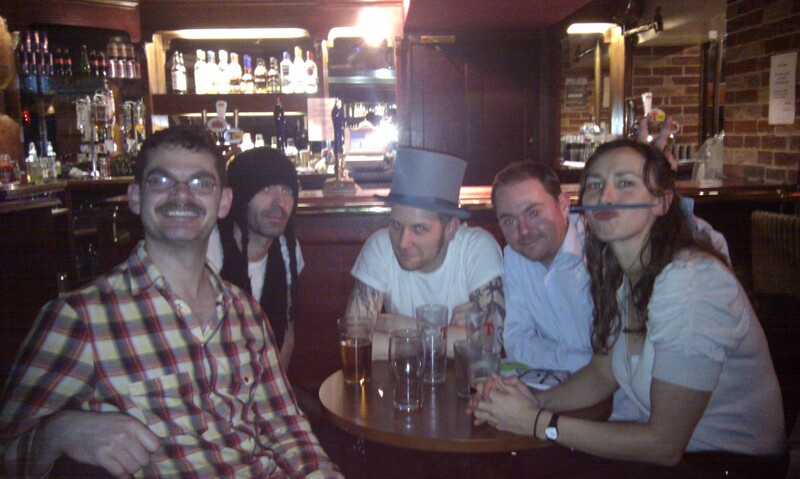 To raise money for forthcoming productions of Dracula and Lazybed, HATS will be holding a hair-raising Halloween quiz at The Canon’s Gait pub on Thursday 4 November. Please come and help support the society to put on scarily wonderful performances! Doors open at six for a seven o’clock start, fancy dress is optional, and please keep teams to no more than five. The price is £5 per head, and there will be a raffle with marvellous and mysterious prizes.